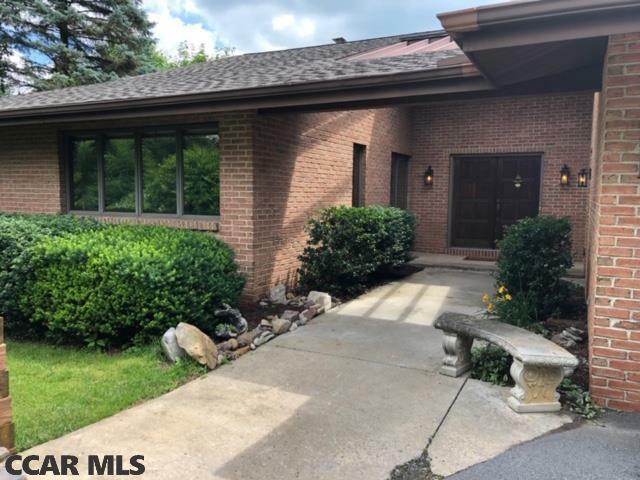 Close to downtown State College, Penn State University and boasts some of the best views in the county! Recent upgrades include remodeled kitchen, breakfast area with fireplace and built-in shelving and bathrooms. New carpet in bedrooms and freshly painted rooms. The lower level is tremendously spacious, open and filled with natural light. The Library is amazing with floor to ceiling bookshelves and rolling ladder. Over 500 sq. feet of unfinished storage space in lower level along with extra storage area under garage (exterior entrance). New decks take advantage of the views of Nittany, Tussey and Allegheny mountains.